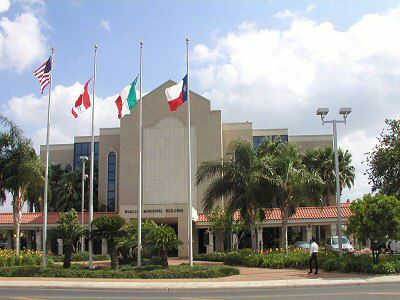 McALLEN — The city will likely vote at the next commission meeting about whether to pay the University of Texas Rio Grande Valley School of Medicine. At Monday’s commission meeting, District 3 Commissioner Omar Quintanilla asked City Manager Roel “Roy” Rodriguez to put an item on the next meeting agenda, scheduled for Sept. 25, regarding a payment to UTRGV. This will be the last meeting of the 2016-17 fiscal year and final opportunity the city has to potentially pay the university for the medical school, something it has not done since 2014. McAllen, Edinburg, Mission, Pharr and Hidalgo County all pledged to pay the medical school each year. McAllen signed a memorandum of understanding in 2014 to contribute up to $2 million annually for the next 10 years in support of the medical school. Three years into the agreement, however, the city has only made one payment for $2 million in 2014. Besides Mission, the other entities have honored their payments each year. Commissioners Richard Cortez and Omar Quintanilla have already voiced their intention to vote in favor of providing the $1 million. Commissioners John Ingram and Joaquin Zamora have expressed skepticism over the contribution, while Aida Ramirez and Veronica Whitacre have not been as vocal with their views. “We haven’t really voted on that, and I think it’d be appropriate to have that discussion at the next meeting and vote just to see if this fiscal year we’re gonna award any of the monies we budgeted — I think it was $1 million,” Quintanilla said Monday. The city has $1 million budgeted for this fiscal year. UTRGV President Guy Bailey gave a 15-minute presentation at the Aug. 29 McAllen commission meeting of all that UTRGV does in McAllen to update commissioners. Bailey attended that meeting alongside Veronica Gonzalez, UTRGV’s vice president for governmental and community relations, who handed out a letter signed by Bailey to the city commissioners and mayor highlighting their concerns and contributions to the city thus far.